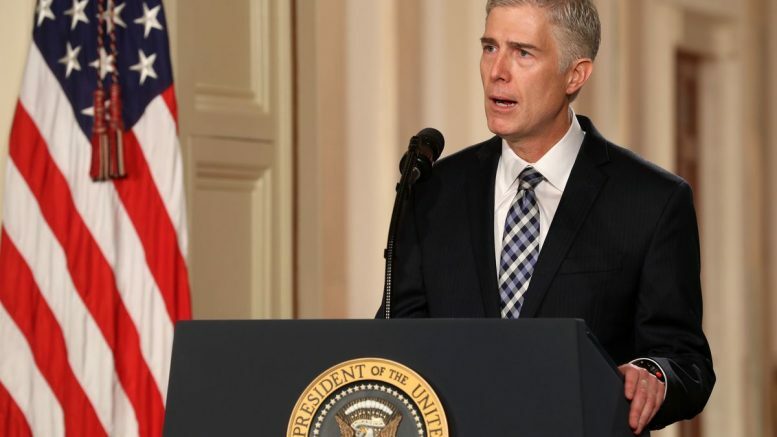 Neil Gorsuch’s nomination to the US Supreme Court was confirmed Friday afternoon after nearly a year with a vacant seat on the Supreme Court. Trump’s pleasantly surprising pick was challenged by liberals who forced Republicans to use the so called ‘nuclear option,’ in a 54 to 45 vote. The appointment of Gorsuch would, in theory, provide the Court with a conservative majority. Over the next few years, several cases involving abortion and the 2nd Amendment may find themselves before the Supreme Court. Having ruled on cases involving the business, religious liberty, and separation of powers, Gorsuch has a solid track record of conservative values. Although he has never had the opportunity to hand down rulings on several staple conservative issues, including the 2nd Amendment and abortion, his values are apparent. This isn’t the case, say, of a wily businessman seeking to use an insincere claim of faith as cover to avoid a financially burdensome regulation. For some, religion provides an essential source of guidance both about what constitutes wrongful conduct and the degree to which those who assist others in committing wrongful conduct themselves bear moral culpability. The Green family members are among those who seek guidance from their faith on these questions. Understanding that is the key to understanding this case. The idea that all human beings are intrinsically valuable and the intentional taking of human life by private persons is always wrong. The right to terminate a pregnancy differs from the right to use contraceptives because the former involves the death of a person while the latter does not. A firm belief in personhood beginning at conception on the Supreme Court is a victory for the pro-life movement. Gorsuch’s actions over the next few years will be interesting to watch, but his nomination is surely a victory for conservatives.